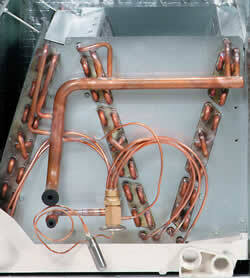 The evaporator coil is an integral component of your home central air conditioner system. It connects with the outside condensing unit via a copper lineset, and completes the cooling circuit of the refrigerant in your system as it’s circulated by the compressor. (Learn about compressor replacement costs) When your central air system gets older, or suffers from maintenance neglect, the coil drain pan may get clogged, start to leak water through cracks in the pan, or worse… the evaporator itself can develop a refrigerant leak at the u-bends that can be very costly to repair, especially if it’s r22. In this Charlotte HVAC article, we’ll look at the cost to repair or replace the evaporator coil in your central air conditioner system. As with all of the guides you find on our site, the coil replacement prices we list are only estimates based on experience in the field, online research and customer feedback. If you need an exact price, please use our convenient locator, to get up to 4 free quotes from local qualified contractors in Charlotte, or in your own area. The table below represents the approximate price to replace the evaporator coil on a 2.5 ton central air system. The price gap between the parts, and parts installed prices above will include the following items that are also needed to install a new evaporator coil. In most cases, the additional items below are already included in the installed price. We are constantly working to keep this information updated and current. 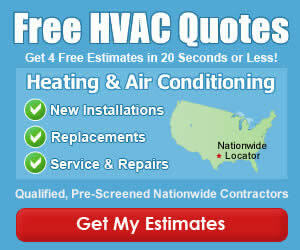 Please share the price you paid to have the evaporator coil replaced in your home central air conditioner. $1900 quote to replace the evaporator and recharge the unit from one of the biggest companies in our town. Crazy price for a $200 part and (in their own words) 3-4 hours of work. Got a second quote and had it installed the same day for $600.